Over the last few years the popularity of Metroidvania games has boomed. We’ve seen dozens of companies’ takes on exploring extravagant dungeons, overpowering numerous and ever harder bosses, and collecting items to upgrade equipment and open new zones. It’s a tried and tested genre that still stands the test of time, even 30 years down the line, after the foundations were set by Konami’s Castlevania and Nintendo’s Metroid. Due to the sheer volume of these platformers though, you really have to do something to stand out amongst the very dense crowd. This is where we welcome Hollow Knight. 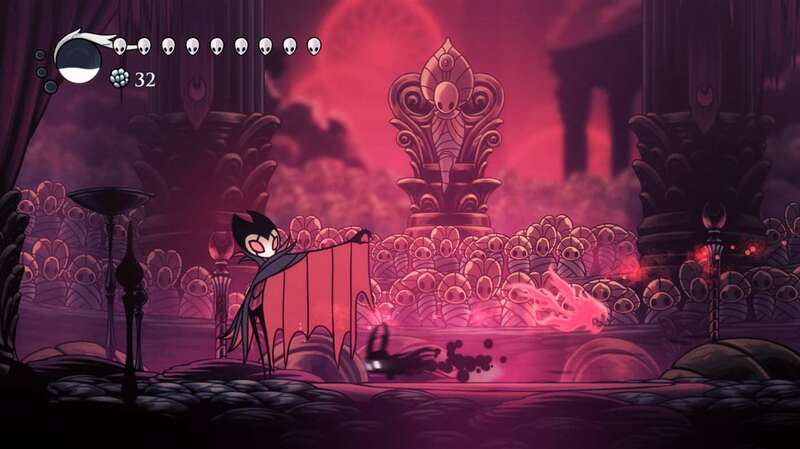 Hollow Knight has finally arrived on Xbox and the Voidheart Edition comes with all 4 DLCs that have previously been released, giving plenty of new bosses, areas and items to collect. Effectively, you’re getting the ultimate Metroidvania package. 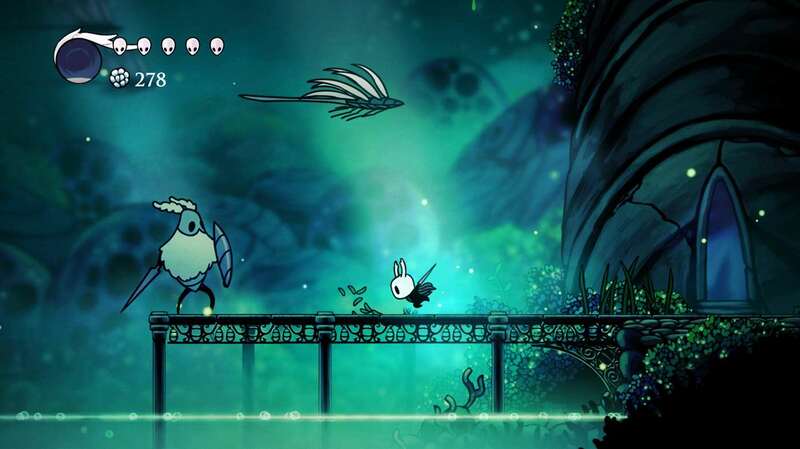 The story of Hollow Knight is left very intentionally vague, it really encourages the player to interact with NPCs and read through items they find to come to their own conclusion, using their imagination to piece together what happened to the abandoned kingdom of Hollownest. This is incredibly refreshing as with some games you speed through and everything is spoon fed to you, explaining why everything is the way it is and that’s that. Hollow Knight really lets you work this all out for yourself and this allows you to converse with friends who’ve also played it, to then each discuss what exactly made this kingdom what it is today. Hollow Knight is a dark game; it’s dreary, sad, bleak. But you know what? It’s absolutely stunning. The hand-drawn art style is one of the most beautiful I’ve seen in recent memory. You’re engulfed by darkness, the Knight emits this glow of white light, illuminating his surroundings and bringing this dead world into sight. The beautiful dust particles are lit up as they float around, constantly reminding you that this underground world has long been abandoned. The environments do keep changing though, and quite drastically too. There are dank, leaking caves, open bodies of crystal blue water and even lush, thick forest sections. Even though these environments are so different, you never feel like the game has dramatically changed; it always feels natural to go from one to the other, it’s a seamless experience that always made me want to play more, just to find out what the next section will bring. The movement too is gorgeously fluid; the hand-drawn style of the Knight’s double-jumps, skips and dashes come with clarity and ease. The swing of your weapon swishes through the air, when you jump onto old platforms dust and dirt drop to the ground and each strike of a foe feels powerful and just. The beauty of Hollow Knight though, is in its enemies. The whole world is full of mythical bugs and creatures that are beautifully designed. I found myself getting more and more lost in the subterranean world just so I could find more enemies and bask upon their beauty. Many are clearly based on real bugs, like Darwin beetles and mosquitoes, but they each have their own unique characteristics and, because of the stunning art directions, just look outstanding. Killing them is a real shame! Killing them though isn’t just emotionally hard, but physically too. See, Hollow Knight is one tough game, you need to meticulously power through relentless enemy bugs that keep coming and coming. Every time you kill a bug, you gain “soul”, this is collected and when your health is low you can hold down a button and use some of your stored “soul” to give yourself a health boost. As you can imagine, the amount you can store isn’t a lot. With the high level of difficulty you do feel powerless at times as the numerous bosses seem to be personally inspired by Dark Souls and test every ounce of your patience! Again though, just like Dark Souls – which a few aspects of the game have clearly taken inspiration from – the sheer joy and overwhelming elation you feel when you finally best that boss is incredible. You work out their move sequences, whether they are giant bugs or nimble flying creatures and battle away with your tiny weapon, feeling insignificant every step of the way, but then watch as they explode or bleed out, safe in the knowledge that you have survived another battle. One other aspect that Hollow Knight has taken from Dark Souls is that when you die, your spirit stays where you perished. You can then work your way back from your last save point – in this case a bench (not a fire) – and search for your spirit. Once you find it, your ghostly figure tries to attack you; you must kill yourself and are then able to collect your items and money you previously lost. I genuinely enjoyed this in Dark Souls as it really makes you stronger, fearing death more then enemies themselves, making you work to get everything back. Having this in Hollow Knight feels very familiar, ensuring a little bit of comfort in this dark world. The size of this world is, at first, incredibly daunting. In fact, there are so many paths to go down and ledges to climb that I will admit to becoming slightly overwhelmed. But after a few hours of gameplay and quickly acquiring a map, you are able to plan and strategize the exploring. 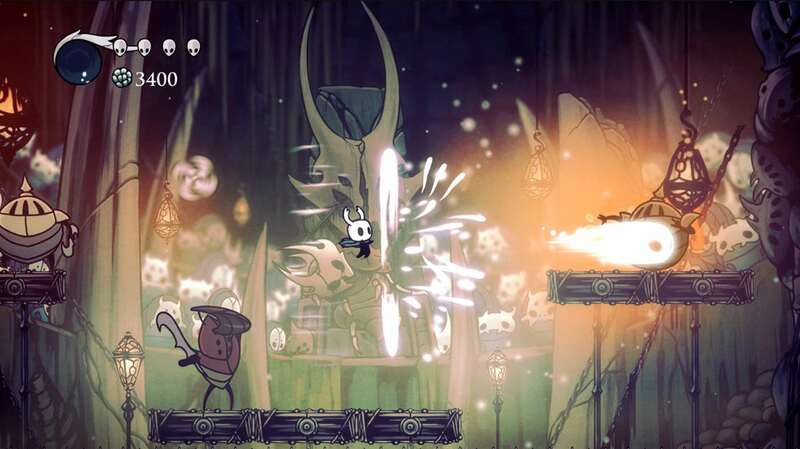 It is this exploration aspect that is a key part to Hollow Knight as there is so much to see and do, with the promise of over 30 hours of gameplay here. Like every Metroidvania game, you need to explore and find the relevant upgrades and powers to get to the next stage and progress the storyline. These upgrades are in the form of dozens of these charms, ranging from the “Soul Catcher”, which allows you to collect more soul when you kill an enemy, to “Fragile Greed” which lets you collect more geo (in game currency) to buy more charms. The sheer choice of variation means everyone’s experience can be different, giving the option of replaying the game again and trying new combinations. Lastly and I must touch on one of the most beautiful aspects of the game – the sound design. Throughout the entire playthrough there is a beautiful score of woodwind and string instruments becoming louder, quieter, more dramatic and softer at exactly the right time. You will get completely lost in this world and the music doesn’t let you go. But it is not only that, as the echos of footsteps and jumps in the cavernous caves and the smashing of weapons onto armour and flesh is simply stunning. 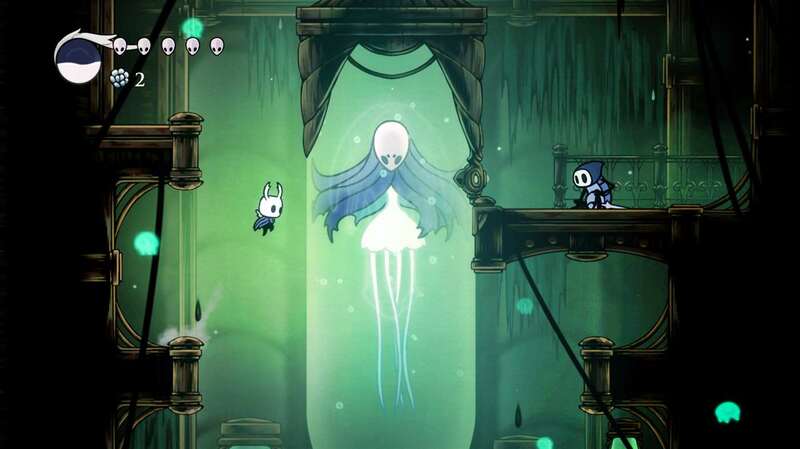 This is the new standard and Hollow Knight will be a game I will never forget.